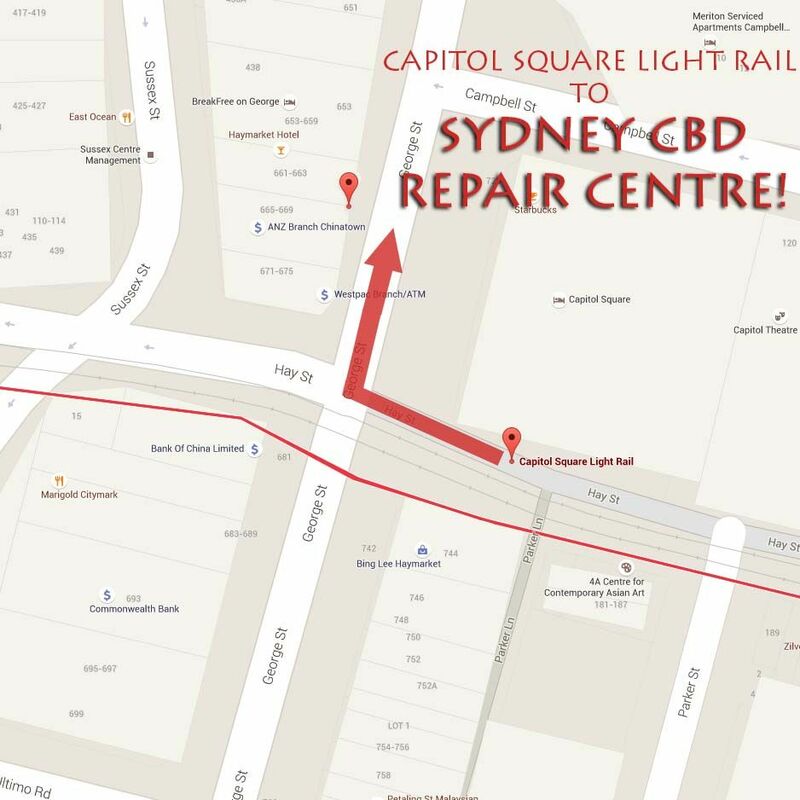 Sydney CBD Repair Centre is accessible through Light Rail via Capitol Square in Zone 1 Stop. 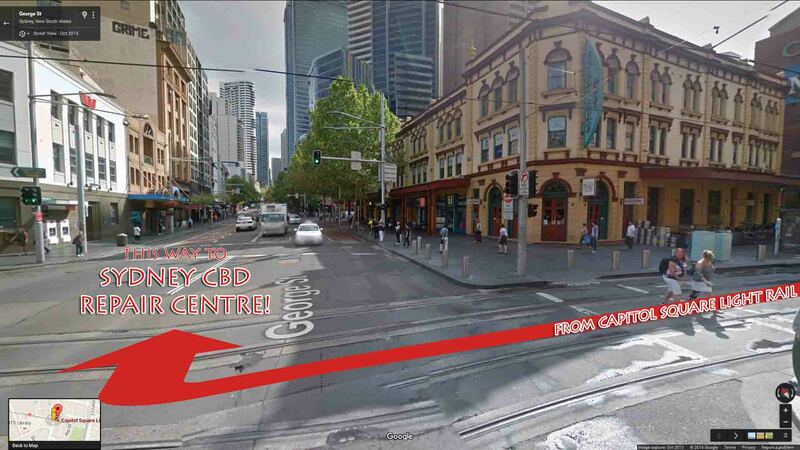 WHERE IS CAPITOL SQUARE LIGHT RAIL? 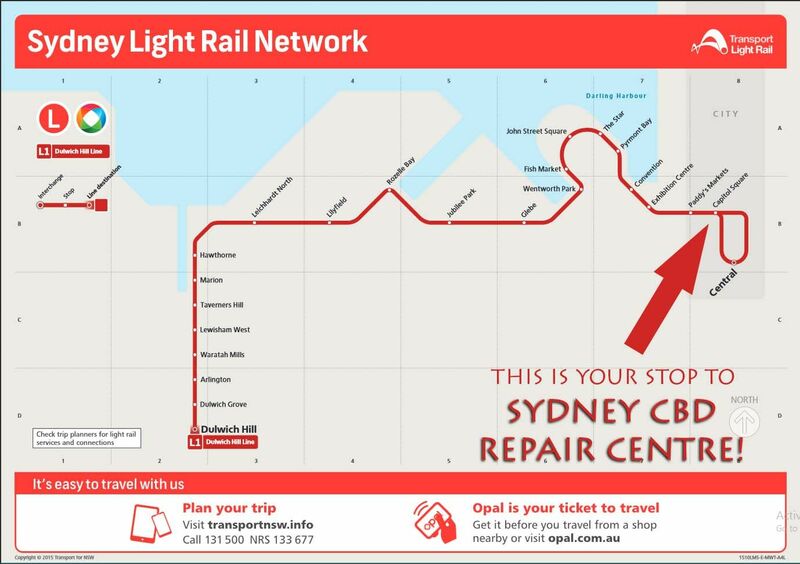 Services operate between the The Star and Central 24 hours a day. Overnight frequency is 30 minutes. Frequency of service is approximate depending on the volume of customers and traffic conditions in the City.